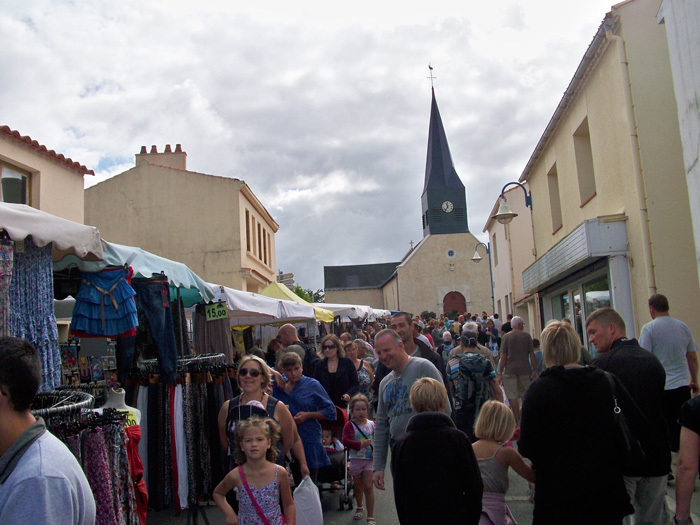 During your holiday at Le Chaponnet you’ll definitely be charmed by the peaceful life of Brem sur mer. This year, thanks to some new landscaping, the Parc des Genêts is completely renewed. The Parc des Genêts, a green lung of 3 ha at the centre of the village, sets next to the campsite. You can have free access to the parc, within a few minutes walking. The park houses some amazing trees, offering the ideal place for a family stroll, a jogging, picnic, or game of boules (2 new boules tracks)… To run around, some play equipment and a city stadium complete this leisure site. Your visit may end at the gastronomical restaurant Les Genêts, with a terrace dominating the park. Shows and entertainment are organised at the (new arrived) open-air theatre, with stage and seats kindly blending into the surrounding landscape. 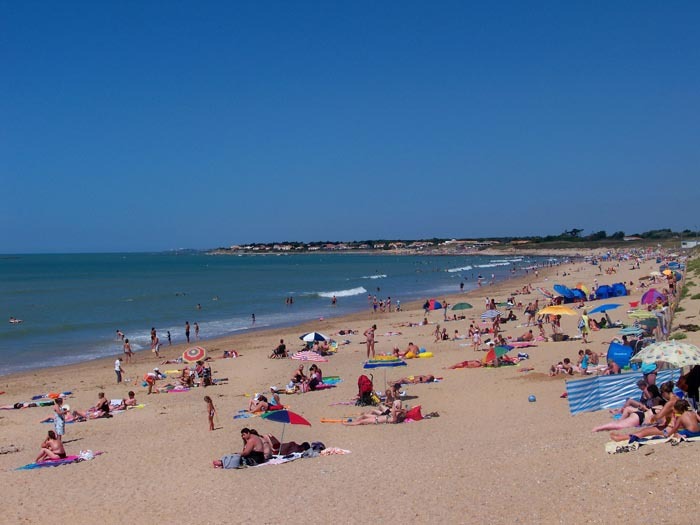 No need to take your car in Brem sur Mer; even the beach is within walking distance. At the entrance of Parc des Genêts, the gastronomical table of Restaurant des Genêts welcomes you in a lovely and completely renovated mansion. The bistrot/gastronomical lunch menu and the full gastronomical dinner menu were recognised by the Michelin guide (1 star in 2017) and Gault & Millau within just three years. The Tourist Information Office, useful to complete the information already available on site. The market: twice per week in high season, with groceries and holiday articles. Brem and surroundings… In July / August, you’ll find different events with product tastings. A new LIDL shop opened in June 2016 (open on Sunday mornings in high season). 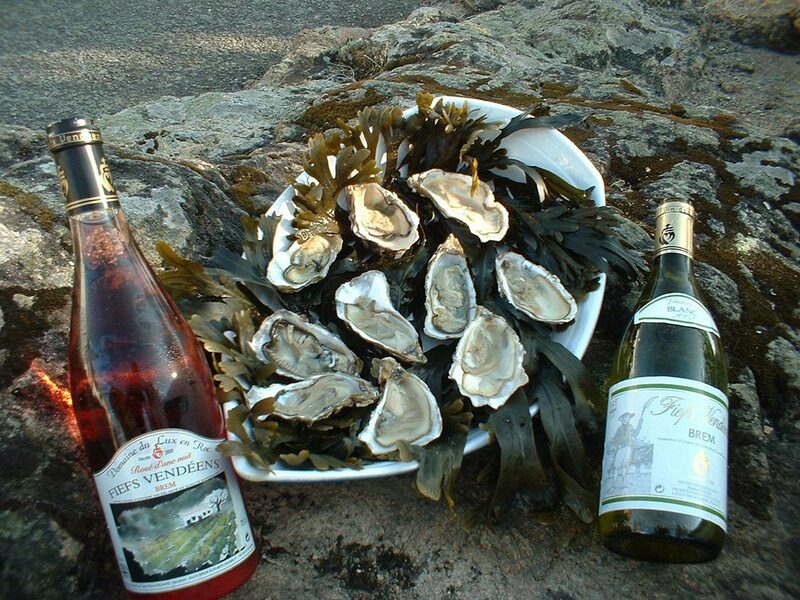 Brem sur Mer also benefits from a varied natural heritage. Enjoy a stroll through the vineyards of Brem and meet with the winegrowers. They are proud of their work and happy to offer taskings of their wines. Looking to be active? A family hike or jogging in the forest will meet your expectations, or try stand-up-paddle in the marshes of La Chabossière and enjoy a drink at sunset out on the terrace of one of the oyster bars.